Your browser is not fully supported! Please try a new version to use or use Firefox or Chrome. problems? | Forgot your password? Each player is allowed to own and play only one account per Xhodon 2 World. 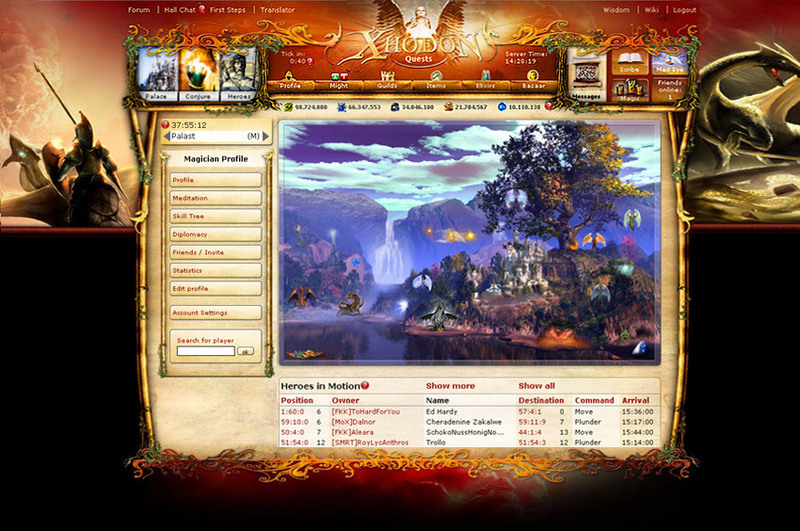 You can play in multiple Xhodon 2 worlds with one account or establish individual accounts in each game world (different nick name and e-mail addresses). More than one account per game world is prohibited. The official language of Xhodon 2 UK is English. Use of any other language could lead to warnings from the Xhodon 2 Team. The Password is equal to the ownership of the account. Passing on the password to another person is no different from handing over the account to this person. The owner as well as the receiving person have to respect the rules of §1. Password sharing is not allowed in any case. In case of an account handover the original owner needs to send an e-mail from his registered e-mail address to support_en@xhodon2.com. Please include the Xhodon 2 World, the user name and the e-mail address of the new owner. The support team will contact the registered eMail Address of the new owner in case of a hand-over to an existing user (His other account will be deleted) to inform him about your eMail, when he allows it, your password will be changed and he will receive the new password. In case the account is handed over to a new user, the eMail to the support team has to include the eMail address of the new owner. When two or more players share an Internet access, these players need to inform the administrators about it (Profile-> Account-Settings-> shared IP and Computer use). Accounts sharing an Internet access are not allowed to trade or send resources to each other. They are also not allowed to act jointly on any war activities. Both of these activities may be allowed if they contact the community manager or a Multihunter and follow any instructions to do with this, that he gives to them. Palace coordinates may not be shared or posted publically (for example in the profile, forum or chat). The only exception is posting ones own coordinates, when the player shows his awareness of the related dangers (To protect any unawareness of newbies). Each player is allowed to have a person take care of his account in case of absence. Account sitting is maintaining a foreign account on behalf and with the mandate of the account owner. Account sitting is only allowed to preserve the account. The account owner remains responsible for his account. There will be no refunds for any losses caused by the account sitter. The account owner is still responsible for all activities executed by the account sitter. Accounts maintained by a sitter are excluded from all war and trade activities. They are not allowed to attack Sentinels either. Account sitting is limited to 30 days per calendar year or round. Any further absences require vacation mode. The sitter gets a link in his profile that allows him to log into the account he takes care of, using his own password. Under "Profile" - "Account Settings" - "Account Sitting" the account sitter can be entered. Zombies are inactive accounts whose passwords have been passed on illegally. Those accounts are specifically supported by their beneficiaries. Resources are taken from these accounts and used in the accounts of the beneficiaries. People no longer playing their account and not deleting the account must stop their resource production. Accounts identified as zombies by admin controls will be deactivated immediately. Zombie-Accounting is classed as multi-accounting. One person is only allowed to create and use one account per game world. Each user is allowed to use one account in multiple game worlds. The user must not have more than one account per game world. Secondary accounts (and any further account) created by an already existing player in a game world or using such an account is claimed to be a multi. Multi using is prohibited and will be penalized. Any account may only exist for personal use, not to support other accounts. Levelling of others accounts heros on purpose, transfer of resources over the limits described in the following paragraphs ist o be seen as pushing and will be fined. Using accounts to only serve other accounts with resources is forbidden. b) for calculation of the limits the regular exchange rates for resources of the merchant are to be applied. c) resources can be delivered within one resource class (e.g. gold resin only) based on the exchange rates of the merchant, there is no need to split into all 4 resource classes. d) Organized dumping of resources on the map and organized pick-up is to be seen as resource transfer as well. e) Resource deliveries to support other accounts for bidding at the bazaar are counted as deliveries without compensation and are limited to the above stated amounts as well. f) Sharing the looted resources from warcamps has to be fair. Repeated deliveries to one WC-partner without delivering to any other are seen as resource delivery without compensation. g) Proper services in return are resource deliveries that are calculated according to the abovementioned courses. Other services like trading coordinates, bounty hunts etc. do not count as a proper service in return, their payment must therefore be in the abovementioned limits. If the resources of a war camp are split this rule does not apply, however the division of the war camp has to be fair. Resource deliveries are prohibited when shared IP usage is announced, to accounts that are sitted or from sitted accounts. In case of sitting or shared IP usage any resource deliveries are prohibited until 48 hours after sitting or end of shared IP usage, if not announced otherwise by the Community-Manager. When resources are left on an empty field it is the previous owner's responsibility where these go. Resources can be stored on own palaces, if the resources are collected up by someone else this will be counted as pushing, if these values would be illegal via direct sending. It is classed as unit pushing, if the hero of an inactive player (at least 7 days offline) is in an active war camp, which is lead by an active player. Unit pushing is not allowed and the head of the war camp will be punished, if it is reported. a) Battles with the obvious reason to level others accounts heros by granting highest possibloe resurrection rate and a maximum of experience points are forbidden. This goes especially for negotiated attacks of large players on very small players. b) It is classed as unit pushing, if the hero of an inactive player (at least 7 days offline) is in an active war camp, which is lead by an active player. Unit pushing is not allowed and the head of the war camp will be punished, if it is reported. this rule (equally to the resource pushing rule) is set to ensure that a player can be supported with resources but not in inadequate amounts without compensation. The bazaar has been established to enable trades of items and dragon eggs. Misuse of the bazaar for pushing or pure resource transfer without compensation are limited to the defined pushing rules in §2.1. Violation of theses limits will be handled like pushing. Buying items is only allowed if the bought item is of any use to the buyer. This use is based on a higher item effect as the items already owned do have. There is no limit on the costs of items. The following relevant item effects are covered by this rule: conversion of sentinel creatures, mana procution, chance on runes from sentinels, chance on items from sentinels, attack bonus. The rule is as well applicable for Set-Items and League-Set items: Exceptions hereof are only when you complete a set and the set bonus does increase the actual value of one of the stated effects. For all items with different item effects, defense bonus, resource bonus etc. the normal pushing rules form §2.1 apply, as these items are of less value and the prices are normally not over these limits. Violations of these limits will be handled like normal pushing violations. Bought items may not be sold for 7 days except you have bought/found an item that grants a higher increase of any relevant effect. Buying dragon eggs from guild members is not allowed. the invitation link is made to show the game to people that are new to the game. Accordingly it is not allowed to send this link to one person more than once per world, or to ask for the link if there was another played account before. In every world every player can only play in any other players family tree once, no matter if the inhabitant of the family tree changes or not. Each additional registration in the same world after deleting an account has to be done without an invitation link and without being in someones family tree. * A maximum of 12 attack against one player in total (Spy-Attack excluded). * A maximum of 3 attacks per coordinate (X:Y:Z, NOT X:Y). * A maximum of 5 spionages (Attack without creatures) per coordinate. 1. If the target of an attack (palace of a player) holds an artefact, which can be stolen by the attacker (or a war camp member), the attack carried out on this player doesn’t apply to this rule. 2. As long as two parties (player or guilds) are officially at war with each other the bashing rule doesn’t apply. A war is regarded official, when there has been a war declaration from both parties or one of the parties accepts the war declaration in the according thread in the forum. A war ends whenever one of the parties declares truce or surrender and the other party accepts it. 3. Attacks on inactive players (not online for at least 7 days) are not restricted by this rule. Infringements of this rule are to be reported to a responsible Game Operator. Game errors or bugs must be posted to the forum or reported to a game operator, community manager or administrator immediately. The user is not allowed to use them for his own advantage. Bug using can lead to penalties on the account. It is prohibited to sell or buy resources or hordes for money. Furthermore it is prohibited to execute game activities for money or to order them for money. Accounts may not be sold. Regular interpersonal communication rules apply to the game. Insults, real life threats, personal attacks and dubious political comments are prohibited. 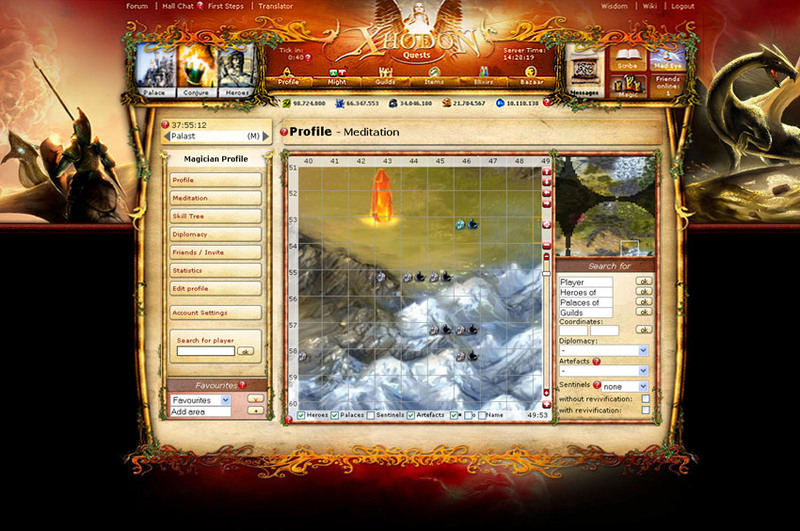 In-game names, palace names, user- and guildprofiles have to follow the same rules. Questionable drawings or skewed views caused by too large profiles are also prohibited. User names may not be similar to names of multi hunters, admins or other team members. Acting as a Xhodon 2 Team member without being one can be penalized by deletion of the account. 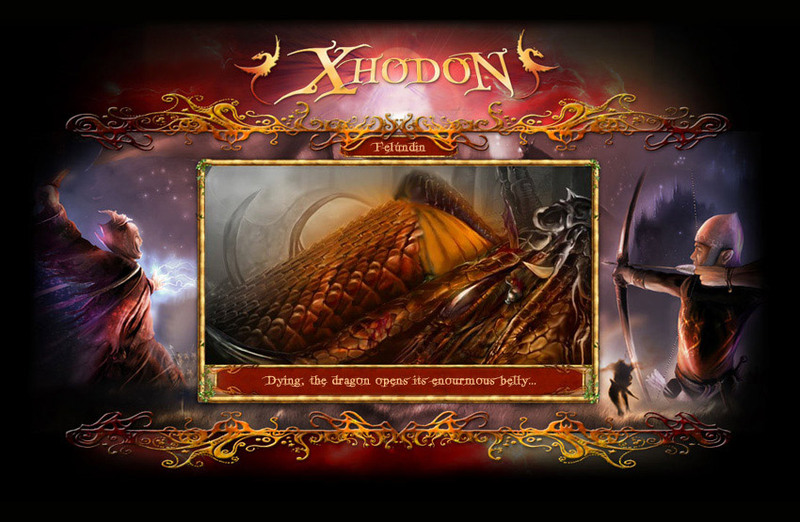 Advertisements are prohibited in any format unless authorised by the Xhodon 2 Team. The medium used is irrelevant. Posting PMs, IGMs or logs of private conversations may not be posted anywhere in the public. This is to ensure the privacy of the authors. If they appear they will be deleted by the Xhodon-Team. In case of rule violations multi hunters and administrators decide about penalties. Possible penalties: Reduction of resources or building levels, deletion of one or more valleys, partial or complete deletion of hordes or account deletion. No Compensation will be given for loss of resources, buildings or valleys that happen during account lock. Users may notify multi hunters via in-game messages or send their arguments to the game administrators by e-mail (support_en@xhodon2.com). Account locks, penalties and account deletions will never be publically discussed (e.g. : chatrooms, forum,....). It is prohibited to have illegitimate access to other accounts. Offences might lead to exclusion from the game. Xhodon 2 Team members will never ask for passwords! 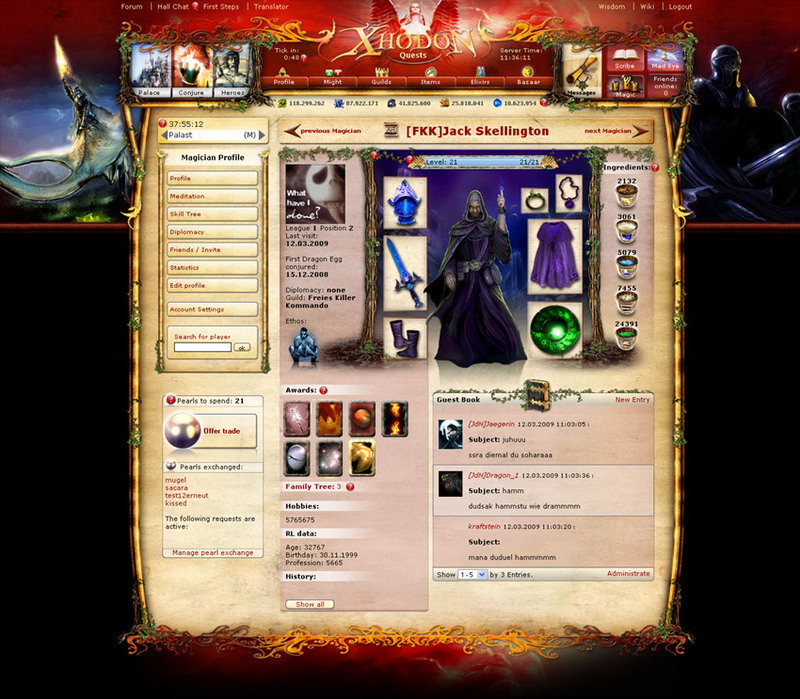 It is prohibited to instigate other players to violate the game rules, for example by asking users for their passwords. Contents protected through copyrights may only be published in the game with the agreement of the copyright owner. The rules of the game always apply, even when a user plans to terminate the account or has already started the deletion process, the rules still apply. The Xhodon 2 Team reserves the right to change the rules of the game. Personal data are information that can be used to get information about a players' identity. Private information is your name, address and phone number. In combination with your user ID we save on our servers data for security purpose that might lead to a personal identification (IP-adress, date, time and visited pages). This personal information will not be used further. We reserve the right for statistic analysis of anonymised records. Personal information submitted for usage of shared IPs will only be used for user identification in case of multiple players from one IP in the Xhodon 2 game worlds. Users' explicit agreement is needed to use personal data with any third party. This does not affect information we need to submit upon court order or by regulation of laws. The game must be played with a regular Internet browser. Usage of scripts or bots that automate game activities or change the game layout (for example greasemonkeyscripts or frames) is prohibited. Exceptions are made only for graphic packs. Furthermore scripts are prohibited that increase the server load or login automatically into the game, pull out data and reuse it. In case a single clause is invalid or becomes invalid, this does not affect the validity of other clauses. Administration undertakes everything to replace invalid rules through new rules that replace the invalid rules in a way conforming to the law as close to the prior rule as possible. These new rules will be in effect immediately and will be applied to the current case. Respective procedures apply to missing rules. The administrators are obliged to fill loopholes in the rules according to the spirit of the already existing rules.